An agile, athletic and tireless worker, thsi is the smaller and lighter than most other breeds of sled dog. It seldom barks but does howl like wolves. It is one of the few breeds that can have blue, brown, hazel or non-solid coloured eyes. It is dignified and gentle and makes a pleasant companion. it weighs 16-27 kgs and is 51-60 cms in height. 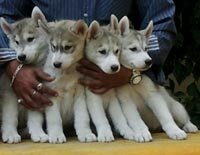 Shikara Huskies Proudly presenting Shikara's dragon litter. Sire Ch.Armscor, Dam Shikara's Mocking Jay. Vaccination & De-worming is up to date. Puppies will be placed strictly on legal contracts (with or without breeding rights) and can be shipped across India. We breed for health, temperament and conformation. 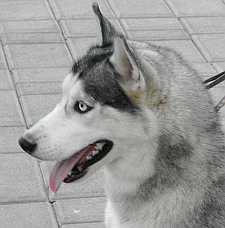 Our goal is to bring together the working and show type huskies and breed litters with health and agility of the working huskies and the conformation of the show huskies. 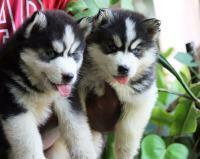 Bangalore Huskies Club: Excellent Quality Siberian Husky Puppies available For loving homes. KCI registered. Health certificates and vaccination records available. Asian Champion Import Bloodlines. Siberian Huskies: Helen with Poong. They Carry Best In Show and Multiple Country Winners Korean Pedigree with Most of the American Lines in Great Grand Sire/Dam. We Place the Puppies only after 3 Months of Age. 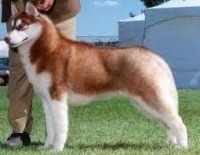 For those who are serious about Huskies, This would be The Right Choice. Dam: Indian Champion Romantika's Vinz Ondhu. Click Here to see Litter Box, and More Details including Photographs of Puppies, Father and Mother and Grand Parents. Epona Kennnels Home of Top Quality Imported Siberian Huskies, Presents an excellent litter of Siberian Huskies from Imported Parents. Responsibly Bred, Excellent Pedigree with High Show Prospects. Sire: Don (Hurricane - Korean Import). Dam: Mezzo d Atachinz (Thailand Import). Foxfire and Innisfree lines. Available to Loving, Responsible Families, Click Here to See Litter Box, Photographs of Puppies and more details. Note: Puppies can be shipped most Metros in India. 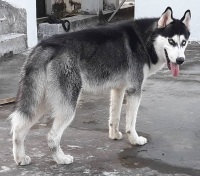 Short Faced Wolves Kennel, (registered with the Kennel Club of India), a Hobby Kennel from Kolkata, Offers Excellent Quality Siberian Huskies, born on 5th October 2018, Home Raised, Healthy. Will be vaccinated and de-wormed as per schedule before being sent to their new homes at 60 Days. Looking for Loving Owners. Click Here to See Litter Box, Photographs of Sire, Dam, Puppies and More Details. 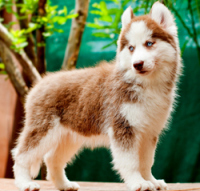 Misty Hill Huskies Offers Top Quality Siberian Husky Puppies, carrying Excellent Bloodlines, having Sound Balanced Body, Beautiful Coat, to Husy Enthusiasts. Vaccination and De-worming will be done as per norms. Click Here to See Litter Box, Photographs of Puppies. 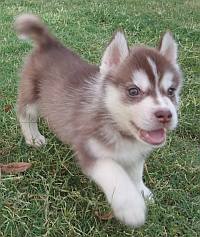 Kap kennel offers Top Quality Siberian Husky Puppies, Carrying Excellent Bloodlines, having sound balanced body and beautiful coat. Initial vaccination and timely De-worming is done as per norms. Click Here to See Litter Box, Photographs of Puppies. Puppies Are Not Registered with KCI. But parents are registered (certificates are posted below). 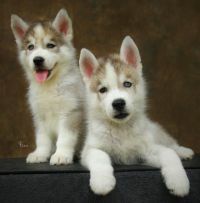 Candle Lights Kennel: Candle light's offers Siberian husky puppies from highly pedigreed parentage. 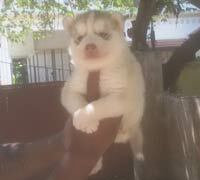 Show Quality Siberian husky puppies from Sire: Ind.Ch.Gr.Ch.The Wones Forcado Beloften (Imp. Costa Rica) X Dam: Summer; Quality male and female puppies are available for sale. Note: Puppies can be shipped anywhere in India and Abroad. Click here to view litter box. For more details contact: K.Kamal, Chennai. Mobile: 09940394411. For enquiries please Contact: Karuna Rathinam +91-99623-19646. 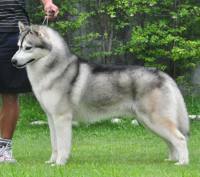 Sanrams offers a beautiful Siberian Husky litter from a very nice parentage. Male and Female puppies are available and both have blue eyes. Click here to view litter box. For enquiries please contact: Santosh Kumar, Bangalore. Ph: 09035800500, 09980089494. 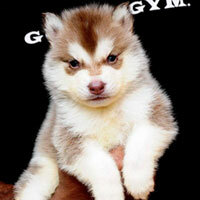 Mr.Sanjit Mohanty: Show Potential Siberian Husky Puppies Available From Import Parents. Sire: Champion And Line Up Winner. Click here to view litter box. Please Contact For Details: Ph: 0 9325052233, & 09822790642(In Hindi); 0 9325406065(English). 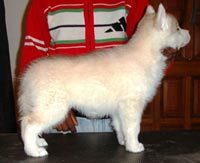 Spandan Kennel now offers excellent quality Siberian Husky pups out of Only Siberians Silver Prince (Singapore Import) X Wyverns Nemo (Thai Import). Pups are ready to go to their new homes. They are vaccinated and de-wormed. Click here to view litter box. Only interested show homes can contact: Subrata Banerjee, Ph:+91-9837084546. 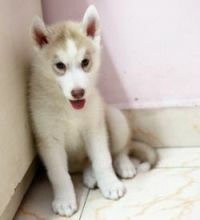 Mr.Raakesh: 2.5 Months Old Siberian Husky Female Puppy Available For Sale To Good Show Homes. Puppy has been fully vaccinated and de-wormed. Click here to view details. For more details contact: Mr.Raakesh, Ph: +919894499528. other Husky owners and people interested around the world.